Brooklyn-based poet Morgan Parker will read from her new collection of poetry, There Are More Beautiful Things than Beyoncé. The evening will also include readings from local poets, courtney marie and Fatima-Ayan Malika Hirsi. 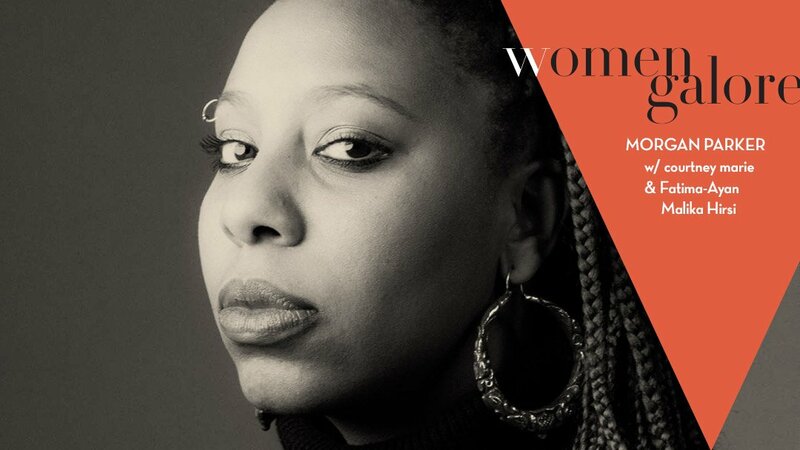 Morgan Parker is the author of There Are More Beautiful Things Than Beyoncé (Tin House Books, 2017) and Other People’s Comfort Keeps Me Up At Night (Switchback Books, 2015), selected by Eileen Myles for the 2013 Gatewood Prize. Her work has been published in The Paris Review, Poetry, The New York Times, The Nation, BuzzFeed, and elsewhere. Her poetry has been anthologized in Why I Am Not a Painter, The BreakBeat Poets: New American Poetry in the Age of Hip-Hop, and Best American Poetry 2016. Parker is the recipient of a 2017 National Endowment of the Arts Literature Fellowship, a 2016 Pushcart Prize, and a Cave Canem graduate fellowship. She lives in Brooklyn, New York. With Tommy Pico, she co-curates the Poets With Attitude (PWA) reading series, and, with poet Angel Nafis, she is The Other Black Girl Collective. courtney marie is a writer and artist based in Denton, Texas. she enjoys working with text as an art medium and performance object. her work has appeared in Spooky Girlfriend Press, Literary Orphans, Black Sun Lit, The Thing Itself, etc. but also in basements and museums, street corners, bars, and art galleries; in cities all over the country. she is the co-founder and primary organizer of the art collective Spiderweb Salon (Best Literary Arts Group 2016, Dallas Observer), co-host of Pegasus Reading Series in Dallas, and the host of Spiderweb Salon’s literary podcast, produced by Pariah. as a recent finalist for the Lorien Prize, courtneymarie has a joint chapbook forthcoming through Thoughtcrime Press with Fatima-Ayan Malika Hirsi. she lives with two cats and writes a lot of letters. Fatima-Ayan Malika Hirsi writes in violet ink. In January 2016, she founded Dark Moon Poetry & Arts to spotlight the creative feminine and non-binary energies of North Texas. She is the Educational Outreach Director at The Writer’s Garret, a literary nonprofit in Dallas. She can often be found on sidewalks using her typewriter to birth poems for strangers. She has been published in Entropy, Anthropology Now!, Bearing the Mask, and elsewhere. Her work has been featured by KERA, the Dallas Morning News, the Dallas Observer, Writer’s Digest, and others. She loves cats, and includes this fact in her bios without shame or guilt.